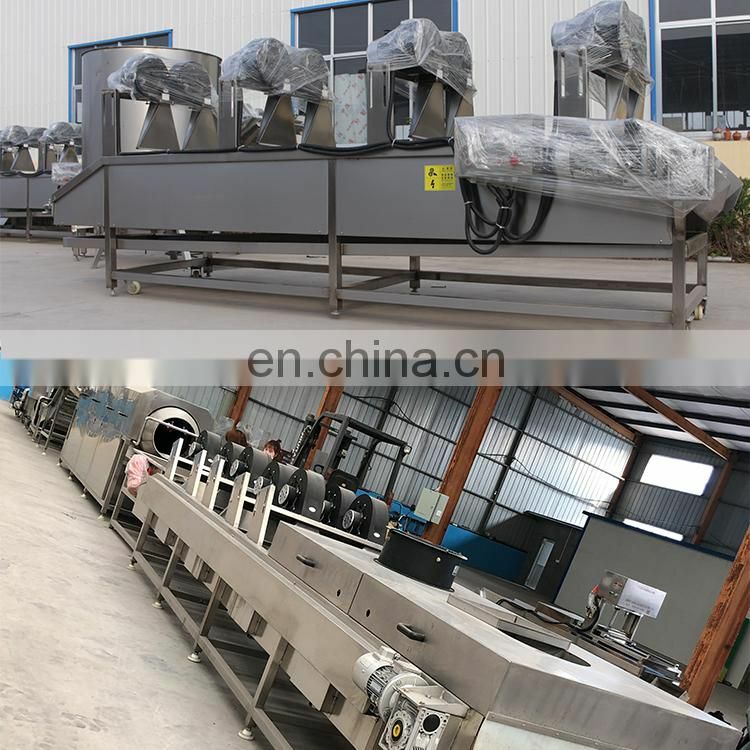 We can provide semi-automatic and fully automatic potato chip production line according to customer's requirements. 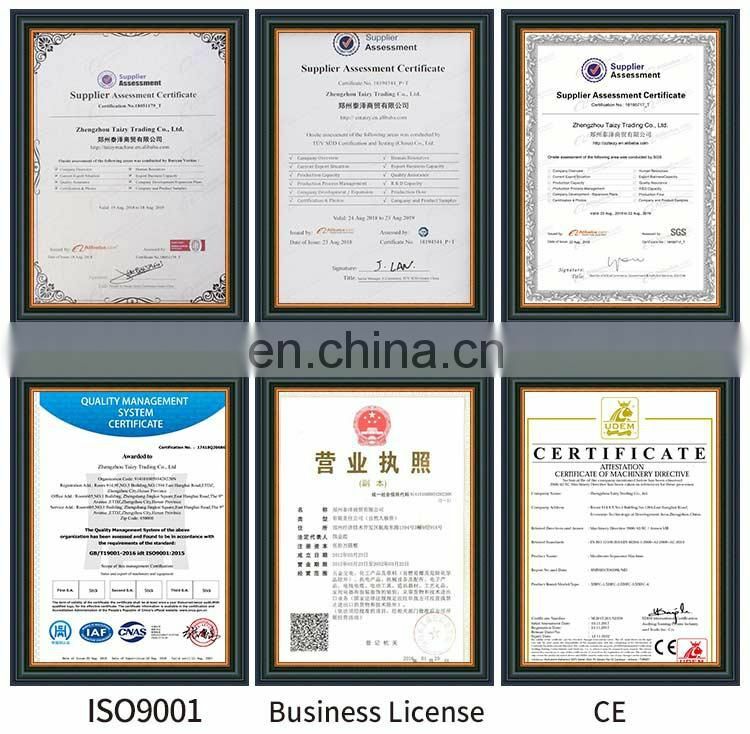 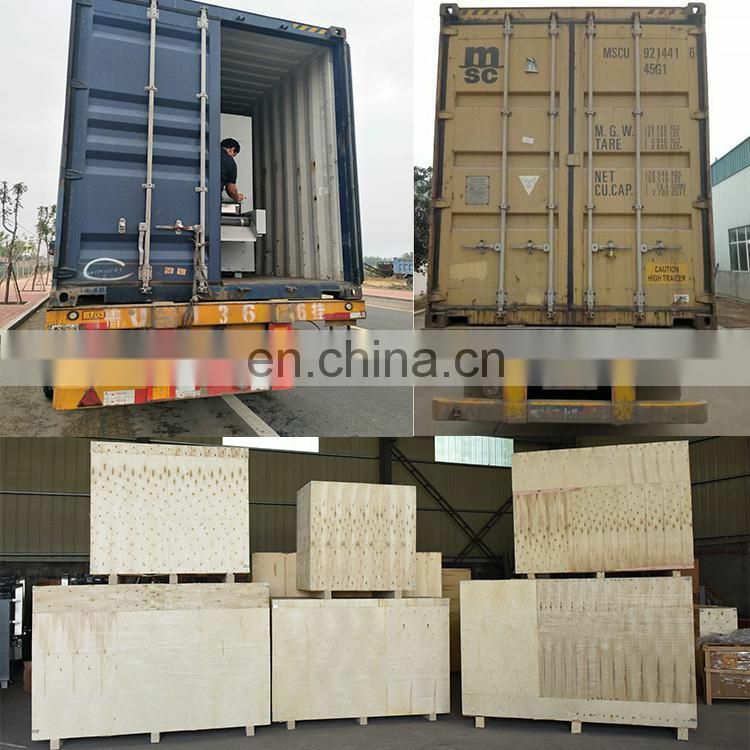 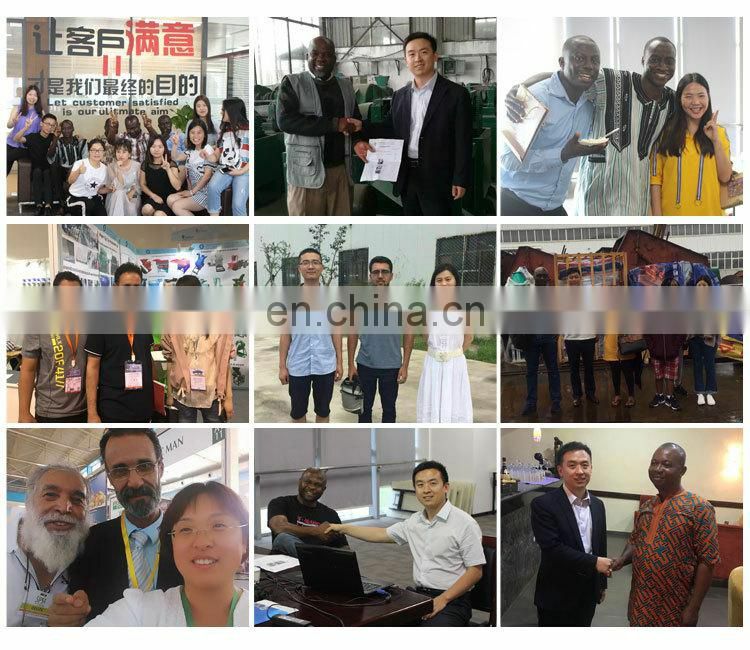 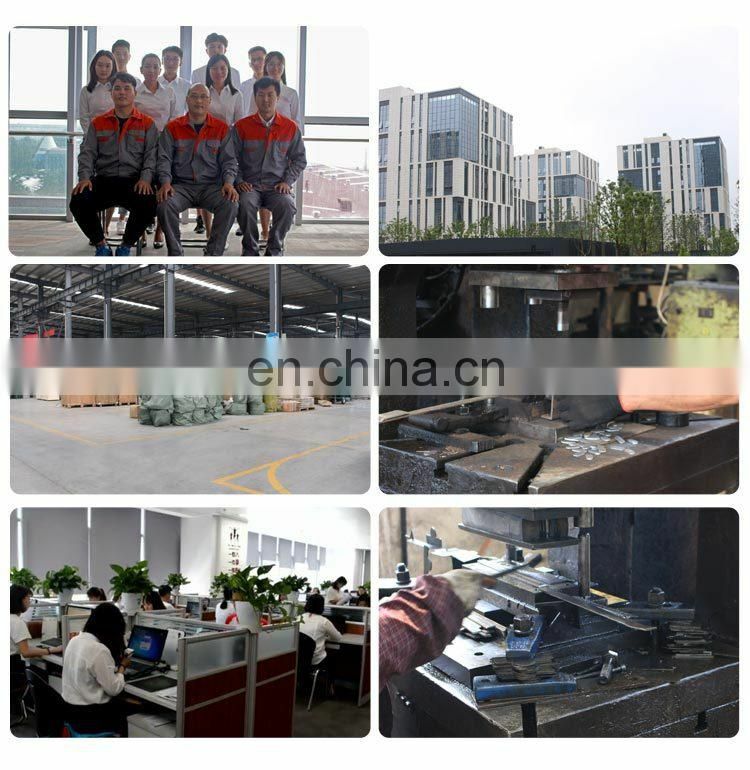 The conventional output is 100kg/h, 150kg/h, 200kg/h, 500kg/h, 1000kg/h and so on. 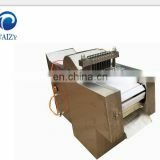 It mainly use for drying the cleaned material with multiple small fans. 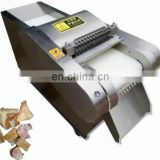 Dehydrator: Dehydration by centrifugal force. 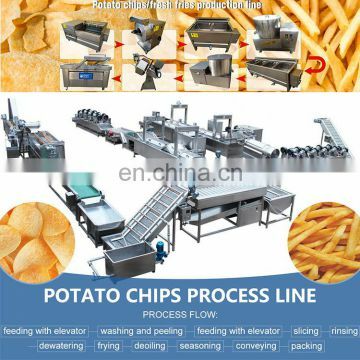 Dehydration before frying can greatly shorten the frying time and improve the taste of the potato chips. 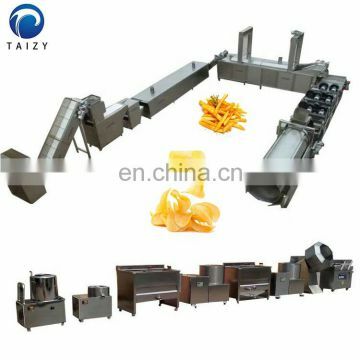 Improve production efficiency and reduce production costs. 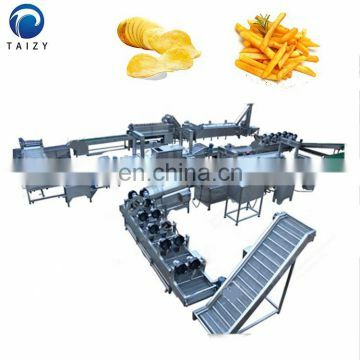 It is mainly used for slightly fried potato chips. 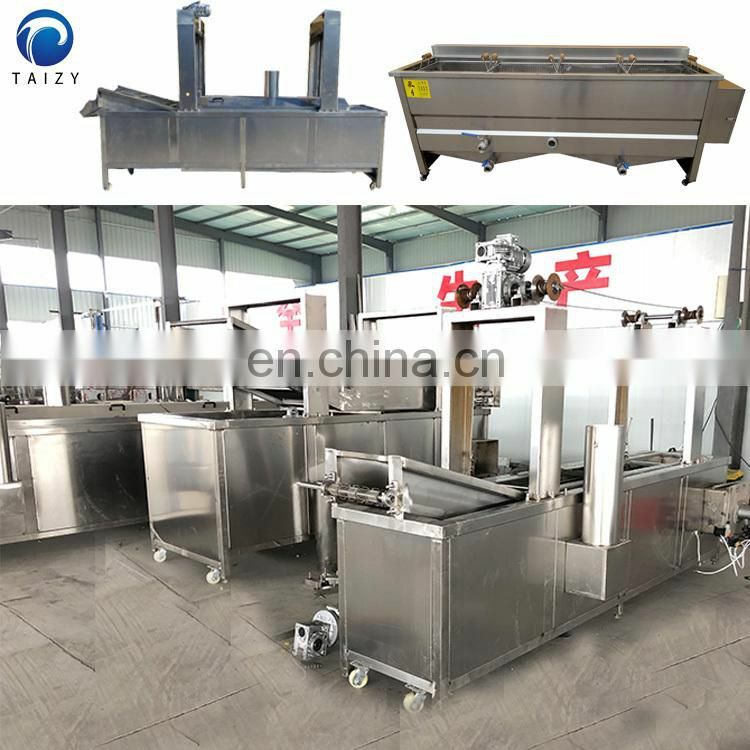 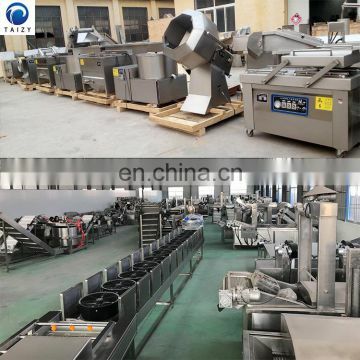  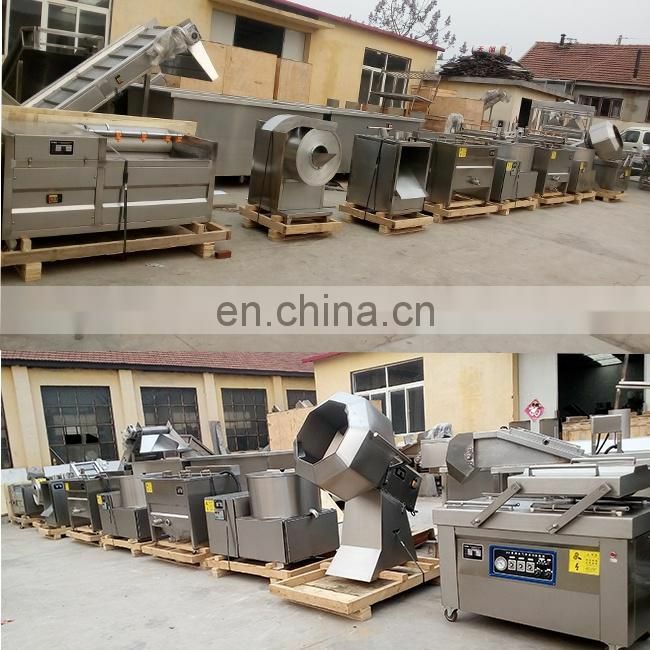 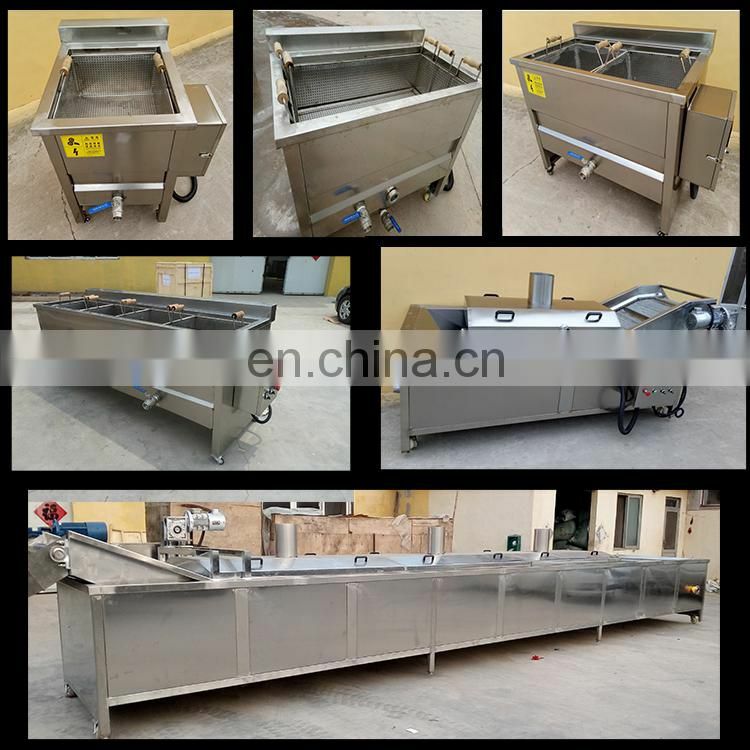 Oil-water mixing fryer: This equipment is an advanced frying equipment. 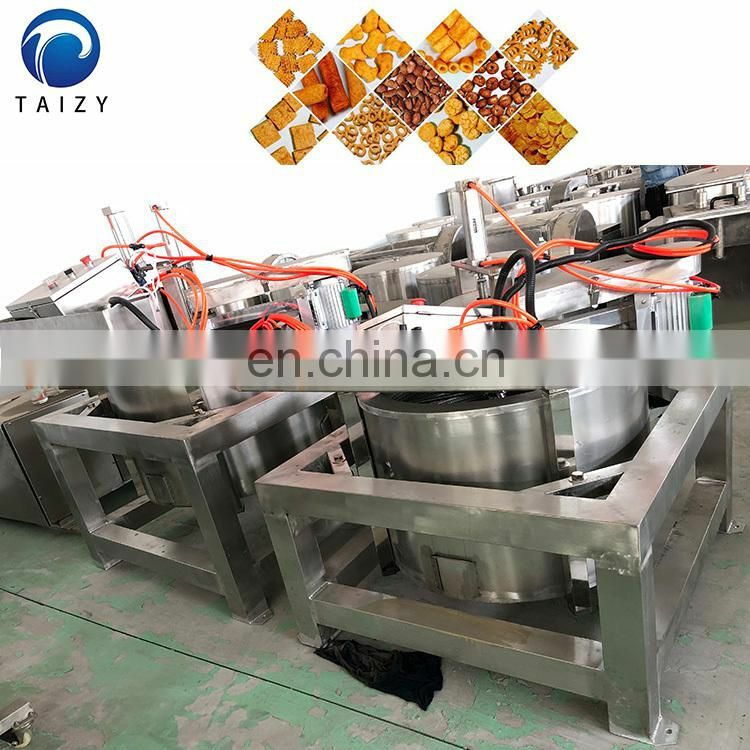 Because the specific gravity of water and oil is different, the water is below, the oil is fried in the upper layer, and the residue is directly deposited in the water. 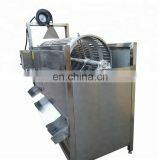 The oil does not emit black smoke, which greatly prolongs the life cycle of the oil and greatly reduces the cost. 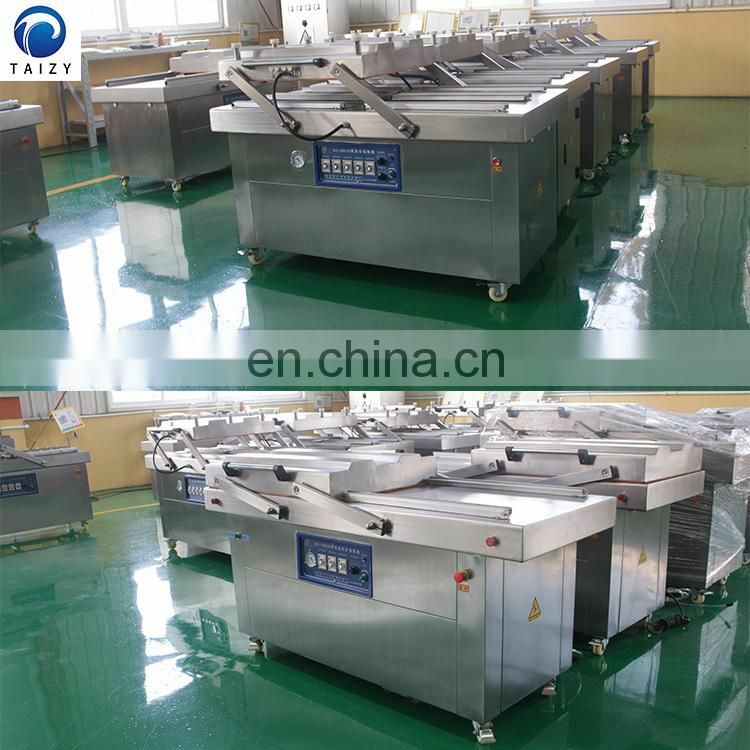 The oil temperature control ensures the quality and taste of the potato chips. 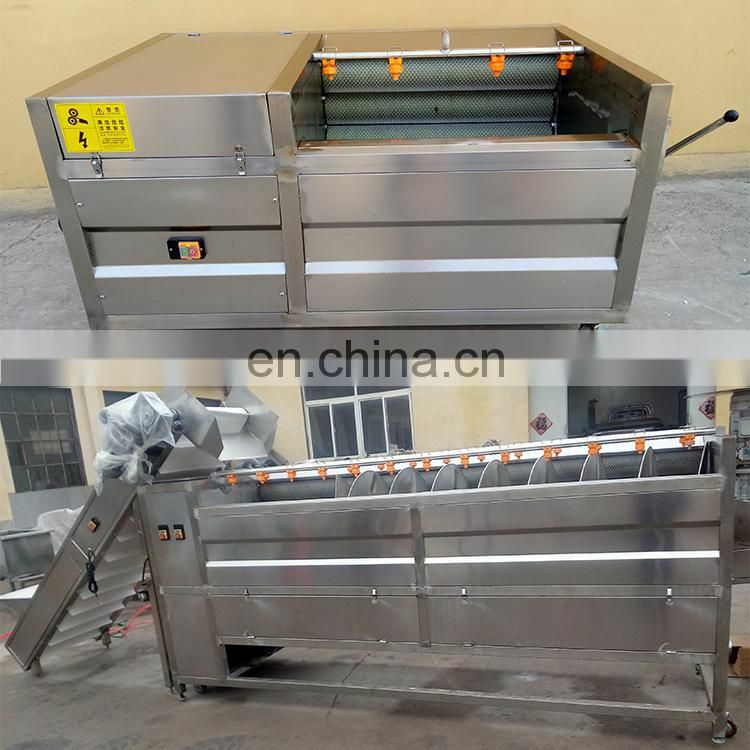 After the work is finished, the water is released and the residue will flow out along with the water. 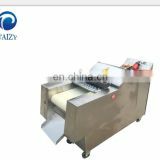 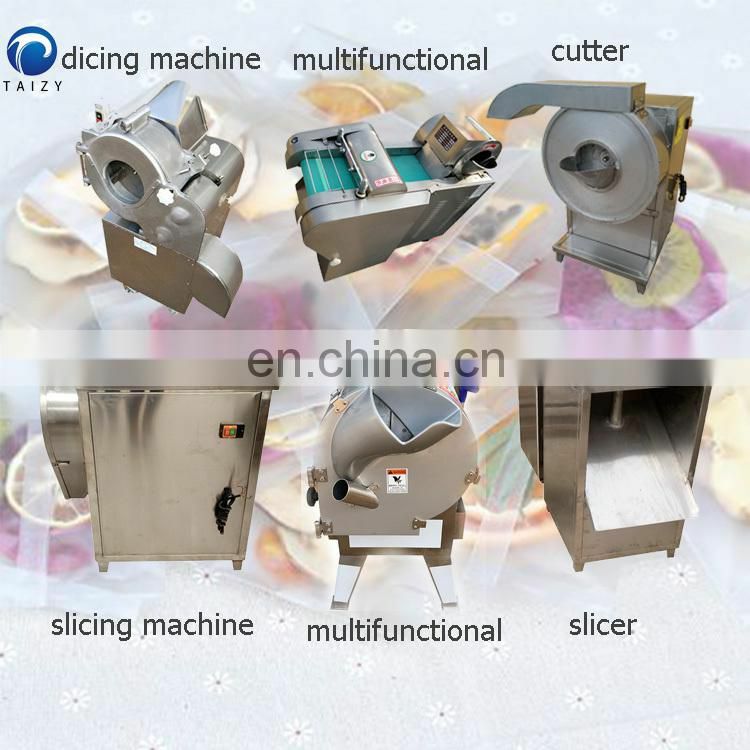 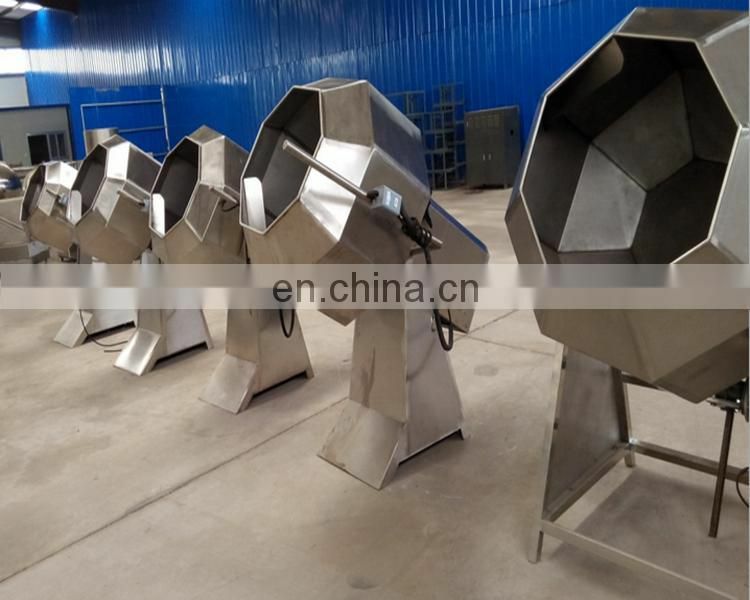 automatic seasoning machine: drum type seasoning machine is made of stainless steel. 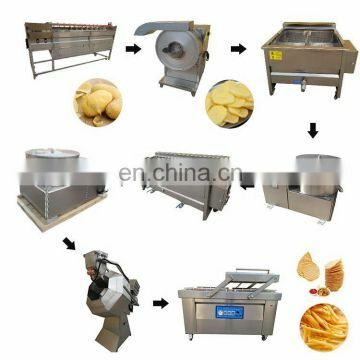 The potato chips (strips) are evenly turned during the rotation of the drum, and the seasonings are added by sprinkling or spraying. 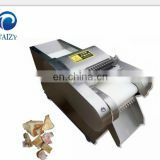 Seasoning is not easy to break.